The water putty is divided into two kinds: dry powder putty and putty paste. In the two kinds of putty, the modified methyl cellulose and hydroxypropyl methyl cellulose are generally chosen for use, and the viscosity is the most suitable between 30000-60000cps. 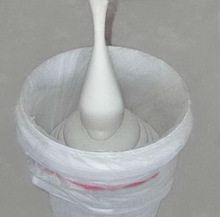 In the putty, the main roles of cellulose are water retention, adhesion, lubrication and so on. The putty formulations for each manufacturer are not the same. Some use ash calcium, light calcium, white cement, etc., while others use gypsum powder, ash calcium and light calcium , etc.. So the viscosity specifications and the addition amounts of the cellulose for the two formulations are also different. In general, about 4‰-5‰ and 100000mpa.s hydroxy propyl methyl cellulose is added. In the construction of wall scraping of putty, since the the base surface of the wall has a certain water absorption (water absorption of 13% for the brick, 3-5% for the concrete), plus the evaporation of the outside, if there is excessive water loss of putty, it will lead to cracking or powder-off phenomena, thereby weakening the strength of the putty. For this, adding cellulose ethers will solve this problem. However, the quality of the filler, especially the quality of ash calcium, is extremely important. Since the cellulose ethers has a high viscosity, this also enhances the putty viscosity, avoids the sagging phenomenon in the construction and makes it more comfortable and effort-saving for wall scraping.